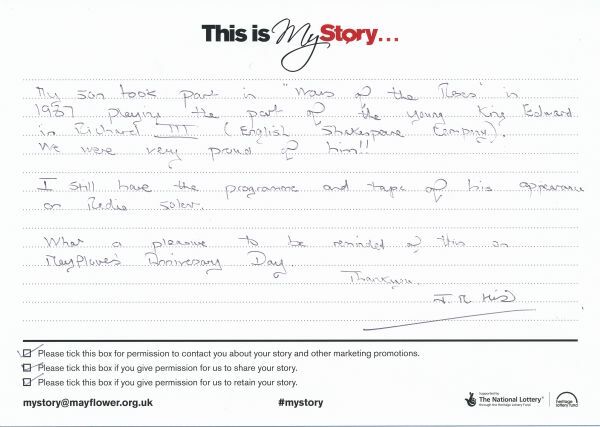 My Story card: June Hirst remembers her son's performances at Mayflower Theatre. My son took part in "Wars of the Roses" in 1987 playing the part of the young King Edwards in Richard III (English Shakespeare Company). We were very proud of him!! I still have the programme and tape of his appearance on Radio Solent. What a pleasure to be reminded of this on Mayflower's Anniversary Day. Thank you.